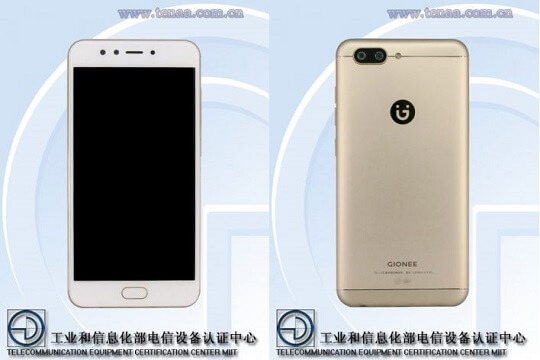 Next in line on Gionee's list of upcoming devices appears to be the new S10, which recently passed through the website of the Chinese telecommunications regulatory body TENAA. The S10 is the successor to last year's S9, which was released in November 2016. According to the listing on the TENAA website, the S10 will sport a 5.5-inch Full HD display with 2.5D glass on top and will be powered by an unspecified 2.0GHz octa-core processor with 4GB of RAM and 64GB of internal storage. In terms of camera, it will come with two 13-megapixel cameras on the back and a 16-megapixel snapper on the front. This is definitely an improvement from the S9's dual 13MP rear and 5MP front camera setup. Other specs listed include a 3700mAh non-removable battery, which is also larger than the S9's 3000mAh battery. It has the usual dual SIM slots, supports 4G VoLTE connectivity, and will be available in black and gold colors. We can't tell yet when the Gionee S10 will be launched, but the Chinese company already started sending invites for the April 24 launch of another phone, the M6S Plus. We're guessing we'll soon see the S10, as well.